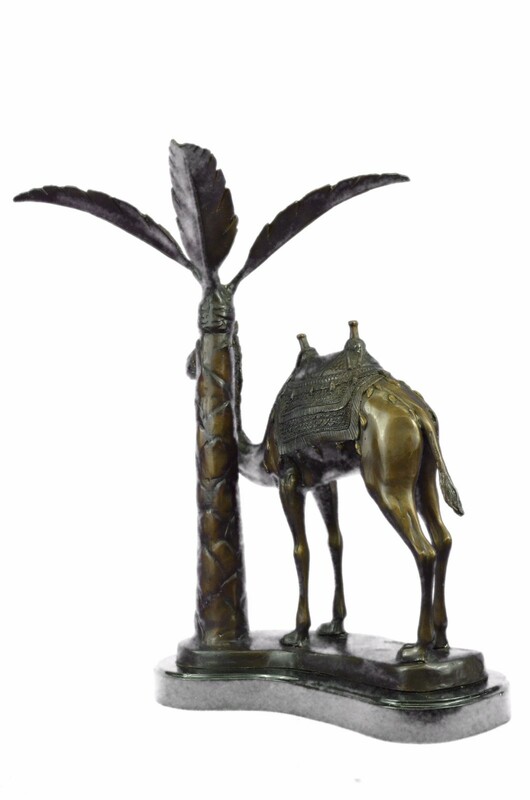 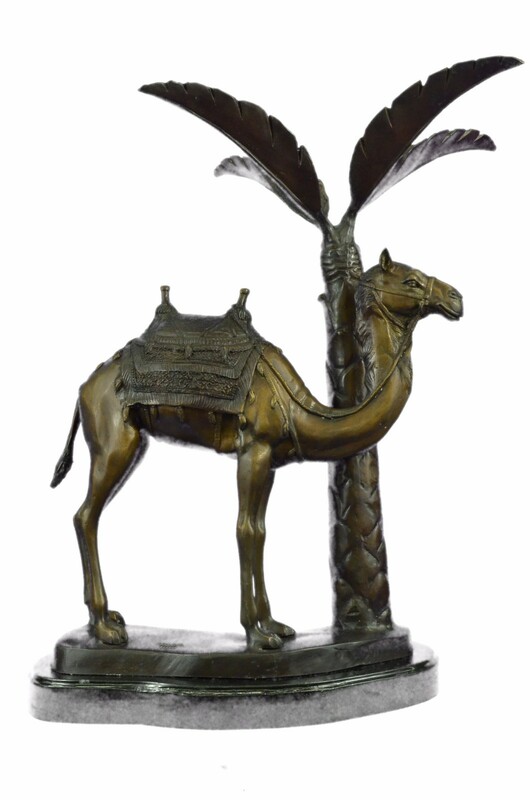 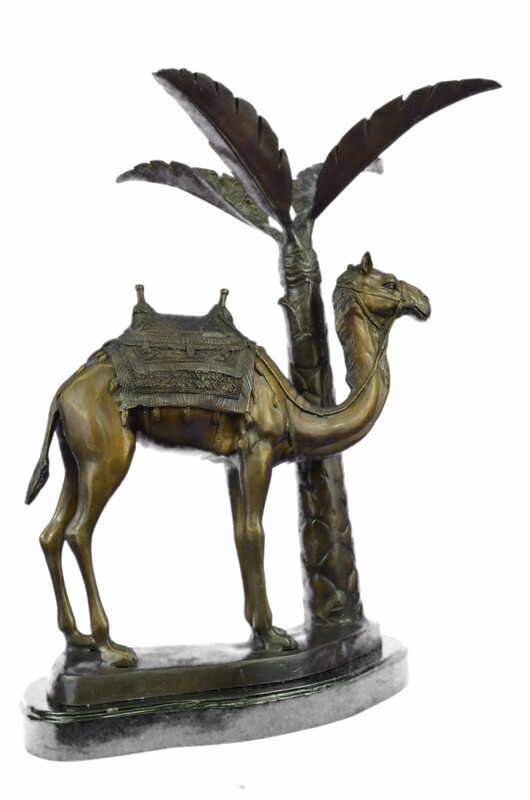 This Statue Is Of A Camel Who Stands Square, Resting For A Moment Under The Shade Of A Nearby Palm Tree. 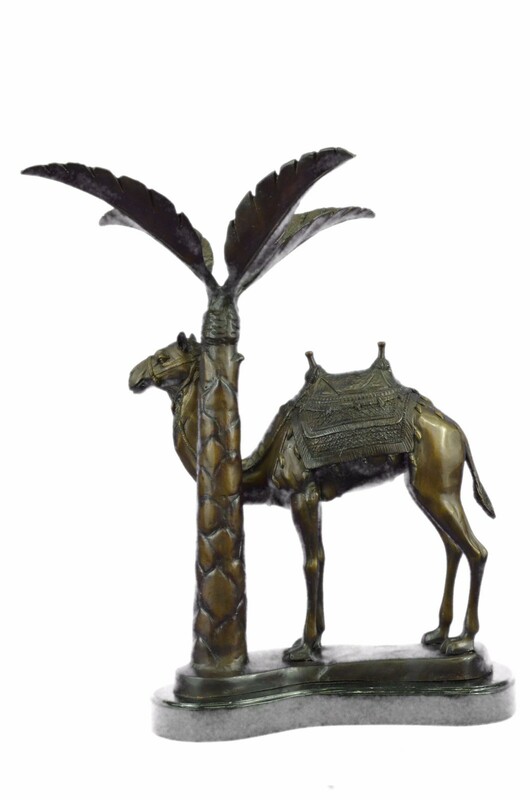 He Has A Saddle On His Back That Is Empty Of A Traveler, And He Waits Patiently For Their Return. 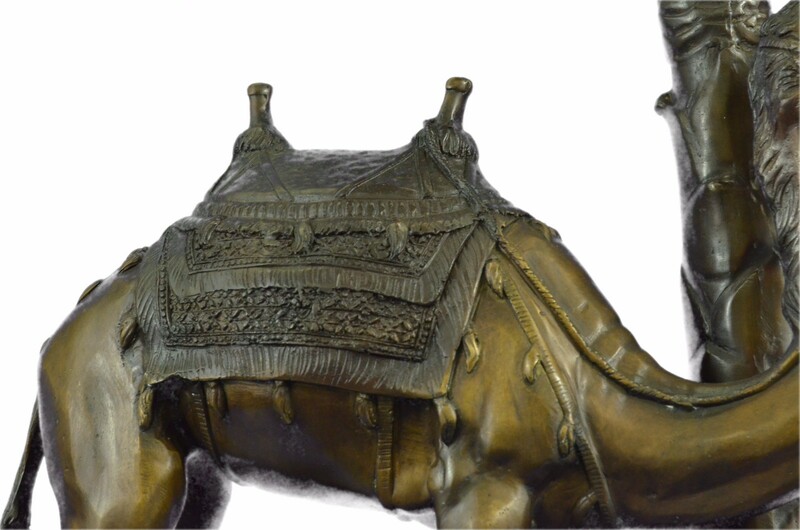 The Saddle Is Decorated In Three Shades And Has Two Peg Handles To Hold Onto On Top, The Reigns Wrapped Around The Front One Hangs Loosely. 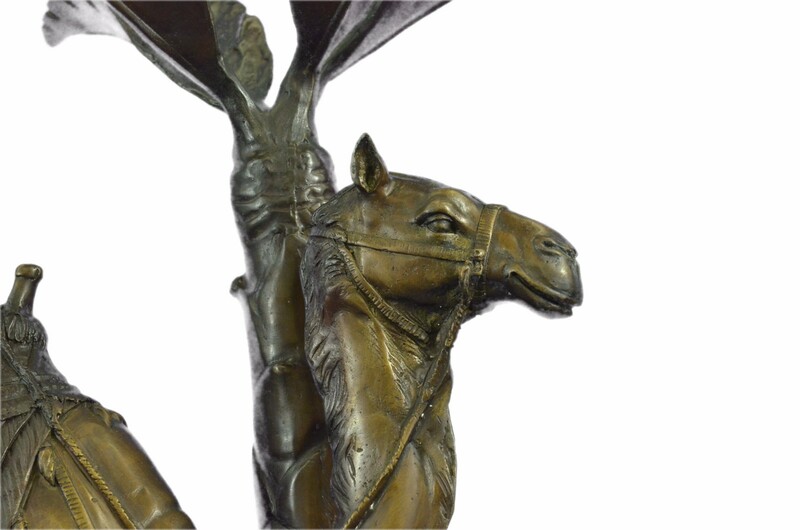 The Face And Entire Piece Has Immaculate Detailing, From The Nostrils To The Dangling Tassels On The Saddle. 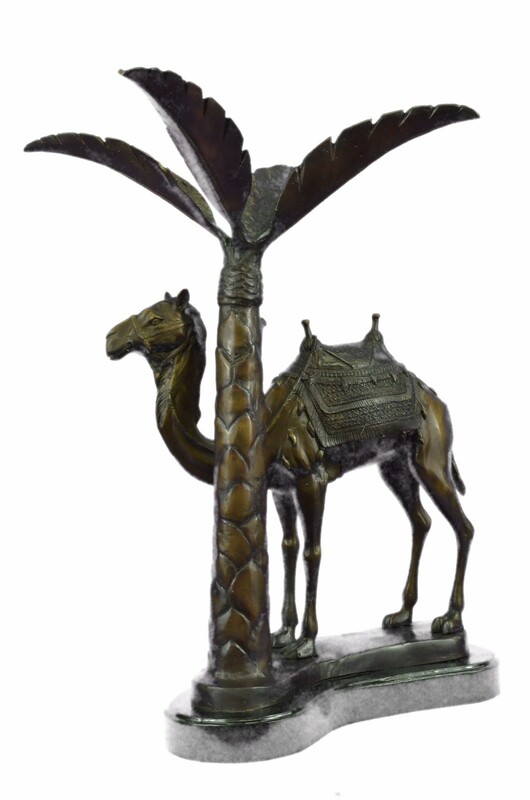 The Palm Tree Is Textures On The Trunk And Reaches Up To Open Leaves That Are A Silver Color And Match The Fabric On The Saddle. 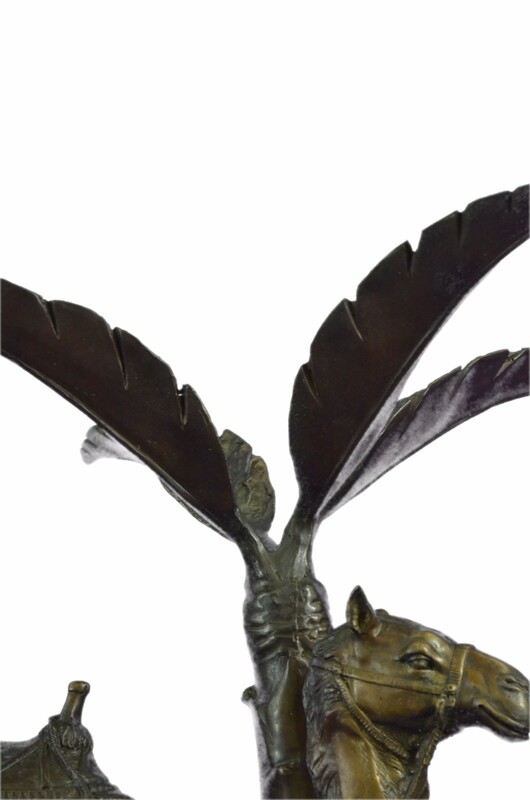 His Feet Rest Upon A Smooth Surface Of Bronze And Marble. 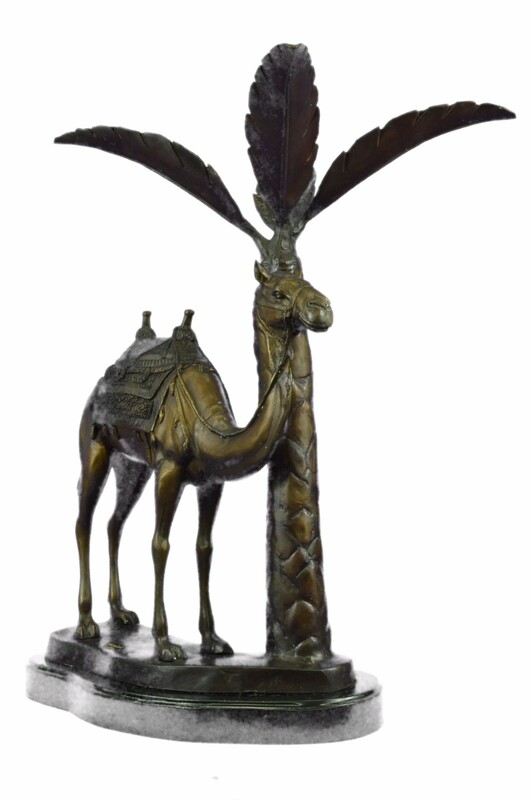 This Bronze Sculpture Was Casted Using The "Lost Wax Method" And Has A Brown, Green And Gold Patina.This Is A Original Limited Edition And Numbered Sculpture And Is Signed By Artist Marius.